Casa Padrino offers a large selection of great bedspreads in the size 220 x 240 cm. Whether in the classic baroque style or just completely modern, you will find bedspreads for every occasion and for every personal style. 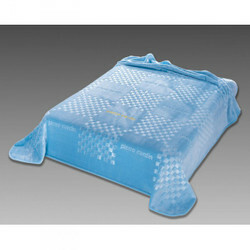 Bedspreads protect against dust, dirt and wear when you sit in the daytime on the bed in everyday clothes. Bedrooms look much tidier with a bedspread and above all neat. Our bedspreads unfold their full strength if you do not want to keep your bedroom door permanently closed and expect visitors at the same time. Who uses a sofa bed in the living room, will be delighted by a bedspread, because the living area loses the bedroom character. The bed has been prepared for the day with a noble bedspread, which gives the room a tidy impression. Especially when things need to be done quickly, the decorative blankets let the bedding disappear with just a few moves. Especially handy when a surprise visit is pending. If we have aroused your interest in our bedspreads, then just call us on the hotline + 49-201-36577485 and our qualified support will help you in every detail! Guaranteed! Casa Padrino, your baroque wholesale on the internet and on site. Our entire baroque, antique style, country style or luxury style bedding collection is also ideal for hotels, boutiques, shops, clubs, cafés and restaurant outfits.